Windows 10 Update Error 0x800706be is one of the irritating and annoying error code, that appears every time when the user tries to update their Windows 10 Computer or Laptop. This windows update error is a common and extensive error which is reported by numerous Windows users. Generally, it is caused due to the service handling confliction (transmission of the file between client and server is disabled), but there are many other reasons that can trigger Windows 10 Update Error 0x800706be. Some of the other causes of Windows Error Code 0x800706BE are apps confliction, blocked firewall, damaged system files, incorrect system date and time, incompatible hardware, outdated system drivers and more. You may face 0x800706BE error code while trying to boot the system, while executing any specific apps and many other situations. This Windows 10 bug may also block the recently added hardware devices hence the OS become unable to communicate with the hardware device. That’s why sometimes, USB ports of the system get disabled. No matter why, when and how you are getting 0x800706BE error, as the important part is how to solve 0x800706BE error. So, coming to the point, let’s start applying the given solutions one by one, verify the system after applying each of the solutions. Step1: Go to the Search Option of your Windows system and search for the Device Manager, select the first result to open the Device Manager. Step 2: Now, you have to find out the error full device from the list of devices. Step 3: Right-click on the problematic device and select Uninstall Device option. Reboot your computer. At last, restart your system and you will see that your system is now working normally. If all Ok, then try to update your computer. If you are unable to apply the above given manual steps to update or repair the system drivers then don’t worry as you can easily do this task with the help of a professional Driver Updater. This is the only tool that will help you to update and repair all of your system’s drivers within a minute. Simply download – Install and then Run Driver Repair Tool. You don’t need to do anything manfully, as this tool will auto detect and fix all the issues related to the system drivers. This trick is very effective and I had fixed several other Windows Update Errors by resetting Windows Update Components. Generally, this error is caused by damaged Windows Components, so by deleting the old files and resetting the components will help you to overcome from this bug. Step 1: First, you have to open the command prompt with the admin privilege. To do this, press the Windows Key + X and choose “Command Prompt (Admin)”. Step 2: Now, we have to block the BITS, Cryptographic, MSI Installer and the Windows Update Services. 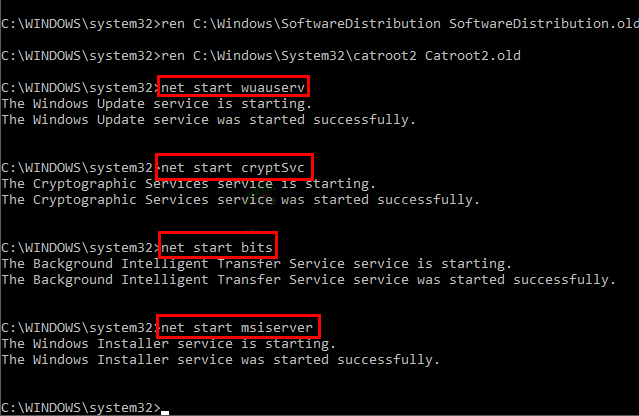 Step 3: After blocking all the Windows Components, now we will change the name of the SoftwareDistribution and Catroot2 folder. To do this, run the given commands one by one. 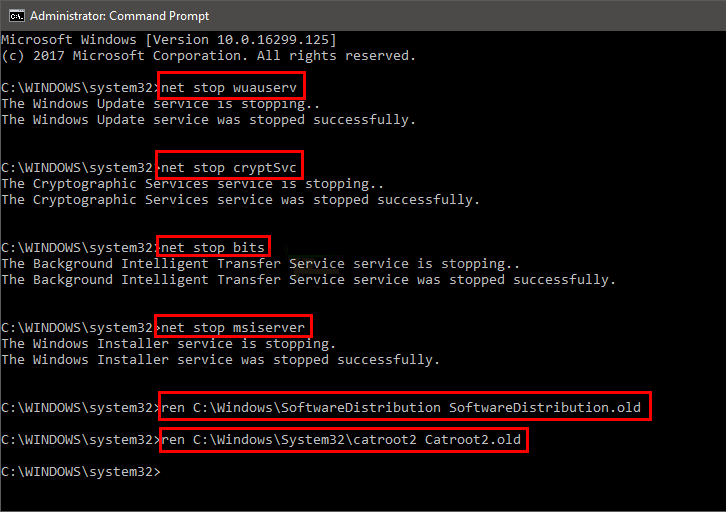 Step 4: At this step, we will start the BITS, Cryptographic, MSI Installer, and the Windows Update Services again that we have blocked in Step 2. To do this, run the below given commands one by one. Step 5: Close the command prompt and restart your computer. Now, try to run the Windows Updates and update your computer. Step 1: Press the Windows + R to open the Run dialogue box. Step 2: In the run box, type ‘rstrui’ and click OK. This will open up the System Restore window. Step 3: Now, press the Next button on the System Restore window. 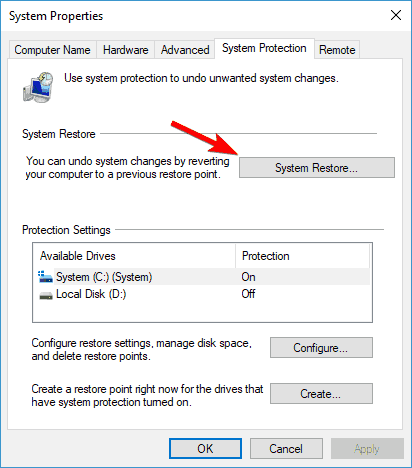 Step 4: Then, click on the Show more restore points to see the several system restore points. Step 5: Select a restore point in order to roll Windows back to the selected date. OR, you can go with the Scan for affected programs option in order to verify what apps get removed for a restore point. Step 6: At last, confirm the selected restore point, press the Next -> Finish buttons. You will see that the Windows restarted with your selected restore point. 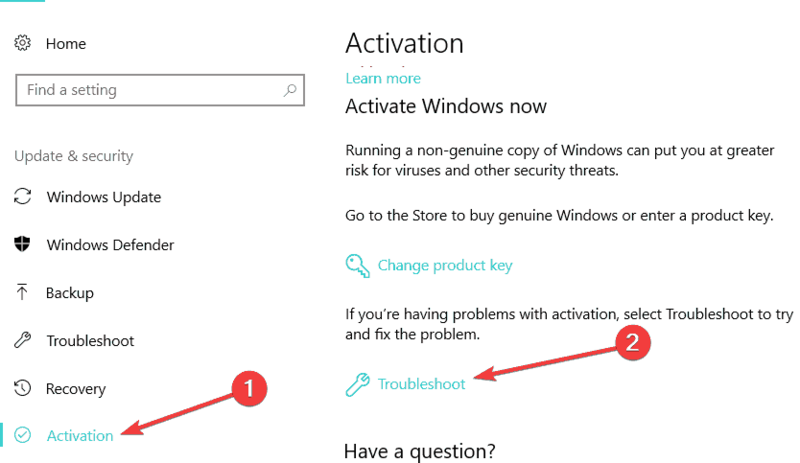 Step 1: Go to the search option and then search for the Troubleshooter, select Troubleshooting from the search result. Step 2: Click on the View All option present on the left panel. Step 3: Now, click on the Windows Update and then Next and simply follow the on screen instructions to run the troubleshooter. At last, restart your computer and check for the error by trying to update your system. We have already discussed that the corrupted system files are the potential cause of the 0x800706be error. In order to fix the damaged system files, you have to run the DISM and System File Checker. 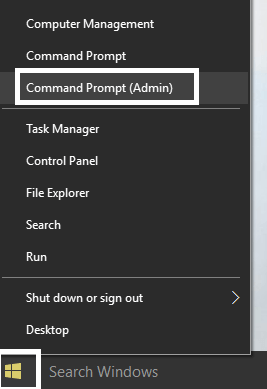 Step 1: Press the Windows + X from your keyboard and then choose the Command Prompt (Admin). Step 2: After opening the command prompt, run the below-given command. Note: The Deployment Image Service or DISM tool might not fix this error if the Windows Update client is damaged. Step 3: Now, we will run the SFC command, run the below given command. This command will scan your entire system hence it takes up to 30 minutes. At last, restart your desktop or laptop. So, that’s all about the Windows 10 error code 0x800706BE, it is hoped that after applying the above-given solutions your system is now error free. 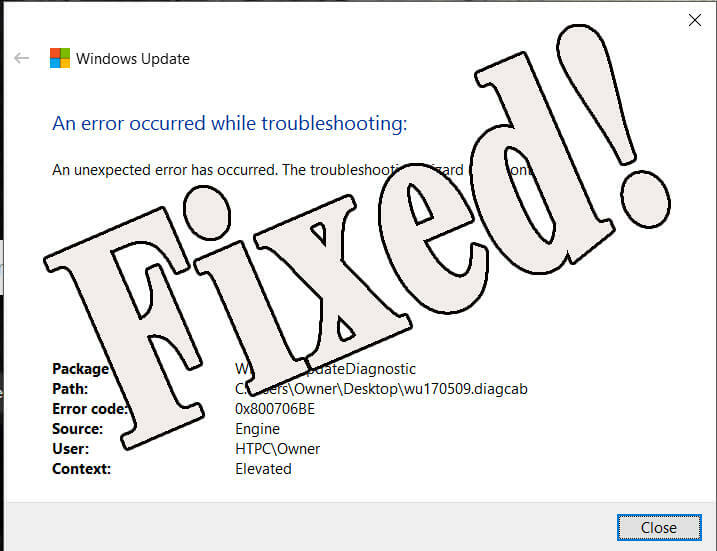 After fixing this error, it is common that your PC starts responding very slowly and system performance decreased. If such things are happening to you then you should go with a Professional PC Booster Tool. 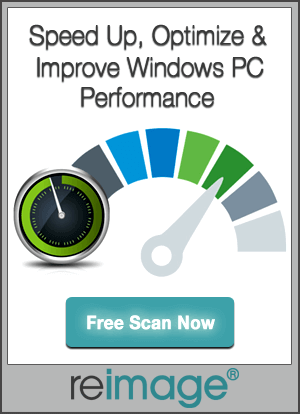 This is the tool through which you can easily get rid of slow system performance. This fully automatic tool is designed with several powerful features that will help you to get rid of all types of common PC errors related to the Windows registry, system drivers, DLL files and more. 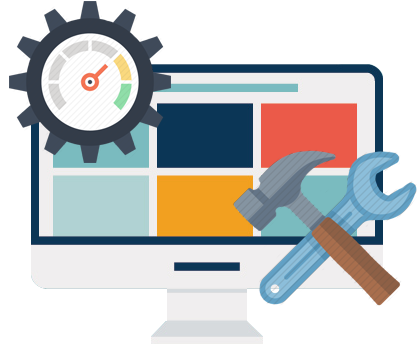 By fixing all the common issues your system will become fast and error free. Apply the given manual & automatic Solutions to Fix Windows 10 Update Error 0x800706be without calling any professional or paying a single penny. [Manual & Automatic] How to Fix “…\windows\system32\config\system is missing or damaged” in Windows 10?